Lassen Sie den Besuch einer Bar in der Fußgängerzone für eine intime Tequila-Verkostung zu zweit aus. 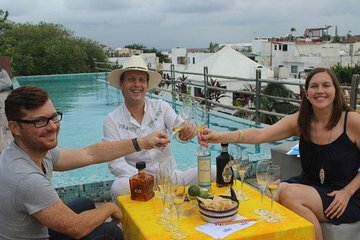 Diese private Verkostung - ideal für ein Paar, das einen Geburtstag oder ein Jubiläum feiern möchte - bietet Proben von mindestens 5 einheimischen Tequilas und die Möglichkeit, etwas über die Geschichte der Tequila-Produktion zu erfahren und wie man eine Flasche richtig liest. Außerdem findet die Verkostung in einer Dachbar mit einem Pool statt, in den Sie jederzeit einsteigen können. Adam was wonderful. His knowledge about tequila was extensive, yet he wasn't a know-it-all. He mentioned up front that taste is a personal preference, so if you disagree with anything, it's not that one person is right and one is wrong. He gave us plenty of extra sips and I really fell in love with a few of the types. It's easy to find, and it's a cool little rooftop bar/pool which takes great pictures. We had a cloudy day so the temperature was just right. I highly recommend this one if you can handle your sips! 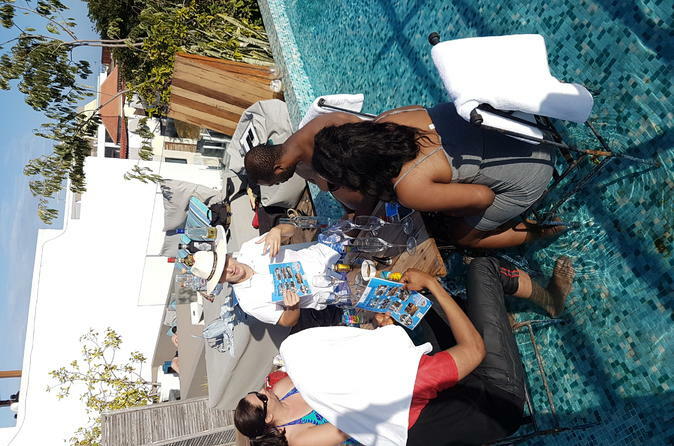 Our tasting was at the rooftop pool, the place is friendly and not many people around. Tasted 5 different tequilas and learnt about them in a fun and informative way. The hosts are great, Adam keeps the facts fun and interesting and he is very knowledgeable. Andi is more behind the scenes, taking care of guests and helps to take photos. We now know of how tequila is made, and more importantly what to look for to get a good quality tequila!